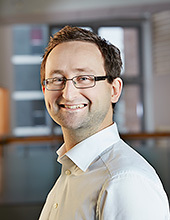 Peter J. Sobis , was born in 1978 in Göteborg, Sweden. He received the M.Sc.E.E in 2003 and defended his Ph.D. thesis in 2011 both at Chalmers University of Technology. He is since 2018 adjunct professor specializing in THz instrumentation for atmospheric science, and is today working as project leader in the GHz centre and as program manager at Omnisys Instruments AB. Det kan finnas fler projekt där Peter Sobis medverkar, men du måste vara inloggad som anställd på Chalmers för att kunna se dem.